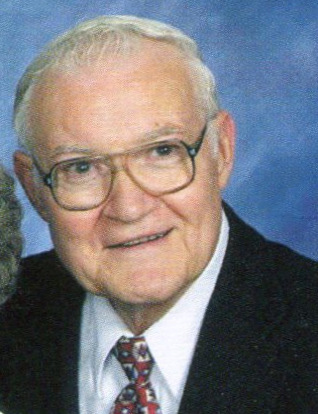 Cromer Harold Curtis, age 84 of Forest City died Sunday, December 2, 2018 at Atrium Health Cleveland. Cromer was born November 21, 1934 in McDowell County and was son of the late Omie Curtis Rettig. He was a graduate of Barium Springs High School and Western Carolina University where he was loyal and faithful supporter. Cromer also served in the United States Army during the Korean Conflict. Cromer was a faithful member of Florence Baptist Church, the Virgil Webb Sunday School Class and retired from the North Carolina Employment Security Commission. He could be found most afternoons at both Smith's Drug Store or the former Ron & Eddy's Restaurant drinking coffee with his friends. He also enjoyed traveling to the Hemlock Inn and Bryson City with his wife. He was also preceded in death by sisters, Frances Moody and Rosa Lee Lamb. Survivors include his wife of forty-four years, Mary Lee Callahan Curtis, a sister, Wanda Garganta of Marion and a number of nieces and nephews. The funeral service will be held at three o'clock Friday, December 7, 2018 in the Florence Baptist Church with Reverend Dr. Bobby Gantt officiating. Interment will follow in the Cool Springs Cemetery with military honors accorded by the Rutherford County Honor Guard. Visitation will be in the church Narthex from 2 until 3 pm prior to the service. Memorials may be made to Florence Baptist Church, 201 S. Broadway Street, Forest City, North Carolina 28043.